Those pre-tournament montages of past exploits are rounded off nicely with images of Allan Border, Steve Waugh, Ricky Ponting and Michael Clarke lifting trophies. There’s plenty of great memories to cut together amidst all that, whether it’s Tugga’s career-salvaging 120* against the Proteas, Gilly’s cricket/squash hybrid final innings or Maxi’s rapid-fire ton against Sri Lanka. All exciting viewing, all from winners. The 2019 Cricket World Cup may paint a different picture. Despite being defending champions, Australia are not favourites. Not by a long way. Since their 2015 victory, they are only just starting to convince the world of their ODI nous. This generation of Aussie cricketers (the class of 2015 excluded) may not savour the taste of World Cup success. If they don’t win this time, maybe they never will. Don’t be stupid. Great players win World Cups. Here is a dominant World XI of my favourite players who played in but never won a World Cup. Despite England’s painfully long history of gifted batsmen, there is a case to be made for Gooch to be considered above all of them. An effortlessly talented blunter of the new ball and a masterful player of spin, Gooch racked up 897 World Cup runs and was the only one to up the ante in England’s snail-like chase in the 1979 final. In his last World Cup match, he succumbed to the wiles of Pakistan’s pace attack in the 1992 decider. He was a Sri Lankan stalwart, but if he played for a different national team, Sangakkara would have won a World Cup. Few players have had to carry a nation’s batting form on his shoulders quite like Sanga (although Mahela Jayawardene played his part). He lifted his less glamorous teammates to World Cup finals twice, without reward. He finished his World Cup career in 2015 with a whopping 1532 runs, with four of his five Cup centuries coming in that tournament. Lara had the misfortune of being the Windies’ finest modern batsman in a period where the rest of the team were far from greats. Only Sachin Tendulkar, Ricky Ponting and Sangakkara stand above him as more prolific World Cup run-getters (he finished with 1225), and his two Cup centuries, spread across the 1996 and 2003 tournaments, each plundered South Africa’s gifted pace army. It’s a pity Steve Waugh’s generosity in aiming to bring the Windies into the 1999 World Cup Super Sixes with a slow, contrived run chase didn’t work. It’s also a pity for Lara fans that Waugh dismissed him during the nail-biting 1996 semi-final, the closest Lara ever got to the trophy. The late, great Martin Crowe gets the nod as skipper of this XI, as he essentially personified the 1992 World Cup. He was the tournament’s best batsman, and his innovative captaincy (including opening the bowling with part-time offie Dipak Patel and promoting Mark Greatbatch as a pinch-hitting opener) pushed a team of useful players into the limelight as worthy contenders. Unluckily for Crowe, it all unravelled in the semi-final against Pakistan. Resting his tender hamstring after New Zealand’s innings, deputy John Wright took over but didn’t follow the pre-game plan. Inzamam-ul-Haq belted Pakistan to victory, then again to the World Cup. 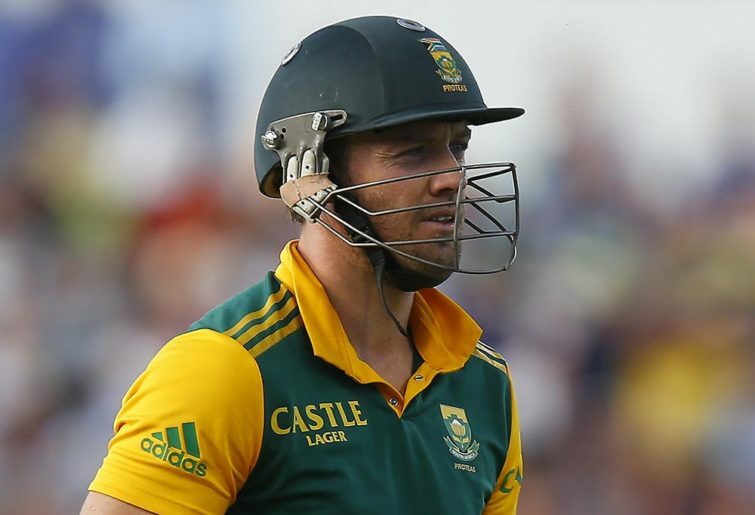 Easily the most electrifying batter in this line-up, de Villiers’ struggles to win a title are South Africa’s. His numbers in World Cup cricket (1207 runs at 63, strike rate of 117) better nearly any others’, but his nation could never vault that crucial last step. 2007: Glenn McGrath’s early onslaught ended their tournament. 2011: A needless run-out meant New Zealand progressed. 2015: A masterful chase meant New Zealand progressed. De Villiers could feel like the cricketing gods are against him, but his overall ODI record means history ought to treat him kindly. The bookends of Andy Flower’s World Cup career make for interesting reading. His ODI debut came in the 1992 tournament against Sri Lanka, when he made an unbeaten 115 (though his bowlers didn’t come to the party), before he finished his career in the 2003 World Cup as his nation’s best ever batsman with a black band around his arm. His now-infamous protest at the ‘death of democracy’ in his beloved home country saw him exiled from the Zimbabwean set-up. He went on to play County Cricket, then later coached of England. The West Indies’ era of dominance meant many quality players of the 1970s and 1980s never really got anywhere near a World Cup. 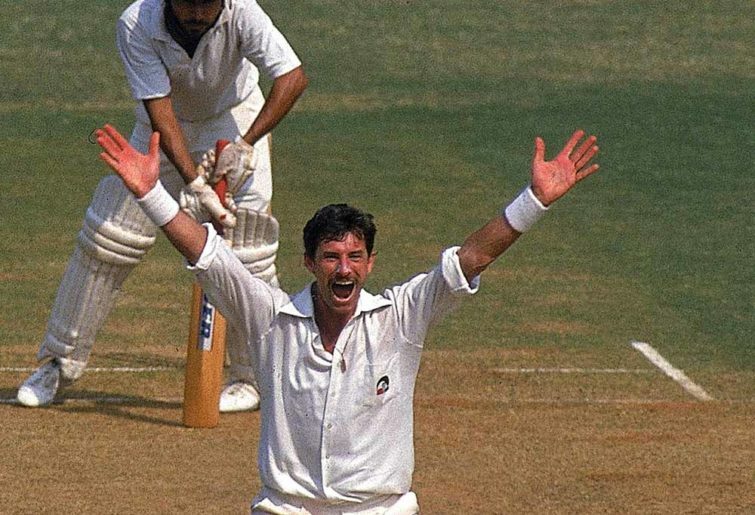 One of cricket’s finest pacemen, particularly in English conditions, Hadlee mastered smart fast bowling, quick to exploit the conditions and an opposition’s weaknesses with the bat. His far-too-short 13-match World Cup career yielded 22 wickets at a miserly average of 19, and his absence from 1987 in the subcontinent was a real blow for the Kiwis. He retired in 1990 as New Zealand’s greatest cricketer, a mantle he still holds. Arguably Australia’s best ever fast bowler, Lillee actually came closest to winning a World Cup with the bat. The 1975 final is rightly remembered for the Windies’ amazing triumph in what was the first men’s World Cup tournament ever (the first women’s tournament was held two years earlier). 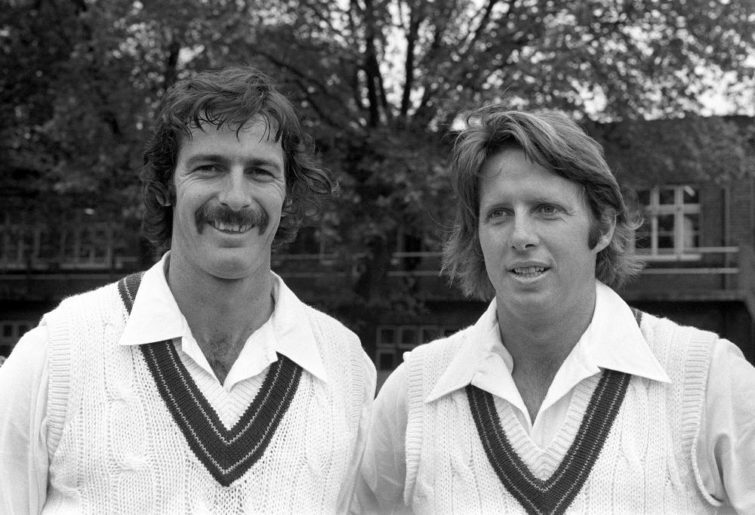 Lillee and Jeff Thomson fell just short of dragging Australia to victory with a final-wicket stand of 41. Despite his well-documented skill as a quick, Lillee’s World Cup figures don’t make great reading. 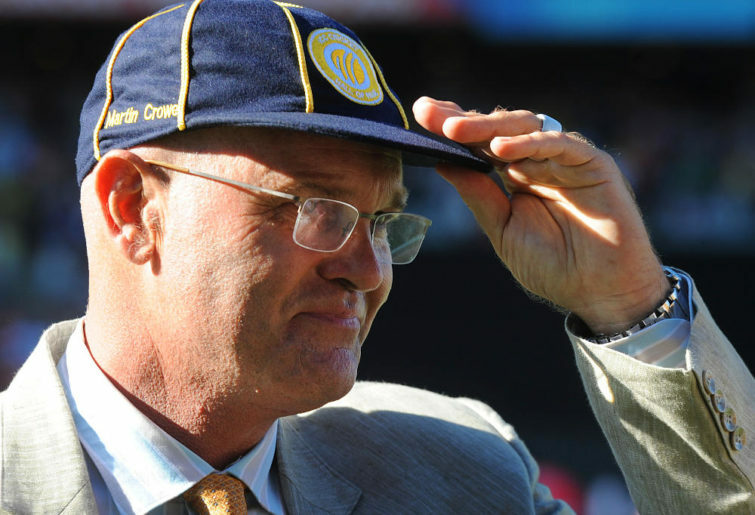 He took eight wickets in 1975, was absent in 1979 (as he aligned himself with World Series Cricket) and took only four more in Australia’s abysmal 1983 campaign. Qadir would dominate if this team played today. In the T20 era, where even the most half-baked leg-spinner is viewed as an asset, a properly decent leggie would run amok. The Pakistani tweaker only played in two World Cups – and dominated only the weaker teams – but the vicious rip he gave the ball and his devious wrong’un is worth watching again and again. I’ll be back in a minute, I just want to look him up on YouTube. Okay, back to this now. The Caribbean’s latest dancing superstar never showed any fancy footwork in his time as a quick bowler. His modus operandi was consistency, accuracy and silent menace. 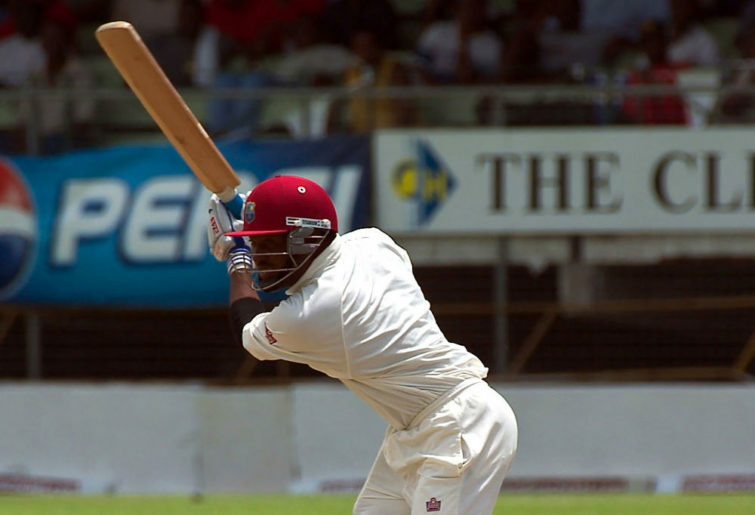 Ambrose, like Lara, deserved more than he got in his career with the West Indies, but he had the distinction of tormenting Australia more than a few times in the World Cup. His opening burst in the 1996 semi-final should have won the match, and in his final World Cup appearance, he briefly made a chase of 111 look a tall order for Australia with the wickets of Adam Gilchrist, Mark Waugh and Darren Lehmann. Shoaib Akhtar started the 1999 World Cup with a reputation and not much else. He ended it with 16 wickets, many of them toe-crushing yorkers, and the cricket world knew how devastating he could be. Perhaps his most famous World Cup moment came in 2003, when a delivery to England’s Nick Knight broke the 100mph barrier. Sadly, his final act in his ODI career came in the 2011 tournament, when his last over disappeared for 28 as New Zealand’s Ross Taylor marched to an imperious 131*. If all your 12th man can do is field, then why not get one of the best fielders ever? While dependable, if not spectacular, as a batsman, Rhodes’ fielding was peerless. His amazing grab in the 1999 World Cup to dismiss Robert Croft was a small glimpse of his anticipation, reflexes and judgement. Strangely, it was a piece of fielding that ended his career in the 2003 tournament. He injured his hand in South Africa’s match against Kenya and, after announcing he would retire after the tournament, brought his departure forward after discovering his hand was broken.